A SPE-UHPLC-UV method for the determination of 13 pharmaceuticals from different therapeutic groups in surface water and wastewater samples was proposed. The following three solid-phase-extraction (SPE) columns with polymeric sorbents were used as a pre-concentration step: the Oasis HLB (average recoveries 93.8 %), the Nexus (84.0 %) and the Bond Elut ENV (88.3 %). A reverse-phase UHPLC with a C18e monolithic column and gradient elution program was used to obtain the best separations for all 13 drugs in short analysis time (3.4 min). The LOD range for determined drugs was 0.02–0.18 μg L−1, and the concentration range for drugs found in water samples was 0.06–0.90 μg L−1. The proposed method was used to analyze different water samples, mostly from rivers, and can be used as a monitoring tool for environmental pollution. Pharmaceuticals are widely used in human and veterinary medicine and are present in various water samples because up to 95 % of the dose can be excreted or discharged directly into domestic wastewater (Farre et al. 2007). Moreover, most of the pharmaceuticals are not eliminated by wastewater treatment plants (WWTPs) due to insufficient technology for the removal of such contaminants. The non-eliminated pharmaceuticals from WWTPs reach ground waters and could be harmful to aquatic organisms even when they are present at low concentrations (ng L−1) (Hong et al. 2007). Although the documentation is limited, it is undeniable that this kind of water pollution could be harmful even for humans (Zhou et al. 2009). Many pharmaceuticals have been found in wastewater treatment plant (WWTP) influents and effluents, rivers, and even in drinking water. Most of them were usually at low ng/L concentrations (Kasprzyk-Hordern et al. 2009; Mompelat et al. 2009). The most commonly used methods for the determination of drugs in water samples are GC or HPLC with MS or tandem MS–MS detectors (Gomez et al. 2007; Rodil et al. 2009). HPLC with DAD detection is rarely used (Gil García et al. 2009). However, most of these publications focused on drugs belonging to one therapeutic group. As a pre-concentration step, SPE procedures have been proposed (Grujic et al. 2009; Moldovan et al. 2009); however, some other techniques based on solid-phase and liquid-phase extractions have also been described (Es’haghi 2009). The development of techniques that provide faster analysis is one of the latest trends in analytical chemistry. The use of UHPLC for the determination of contaminants in environmental samples has become the most suitable analytical tool to improve analysis time, sensitivity and can significantly reduce labor costs (Gracia-Lor et al. 2010; Richardson 2009). The aim of this work is to develop a fast, selective and sensitive method using UHPLC with UV detection and an SPE procedure to provide sample enrichment for the determination of 13 acidic, neutral and basic drugs belonging to different therapeutic groups. The drugs examined included paracetamol (PAR), sotalol (SOT), metamizole (MTZ), salicylic acid (SAL), metoprolol (MET), aspirin (ASP), propranolol (PRO), prednisolone (PRE), carbamazepine (CBM), carvedilol (CAR), dexamethasone (DEX), naproxen (NAP) and diclofenac (DIC). The drugs selected are widely used and were found in many water samples in relatively high amounts (μg L−1 for β–blockers, NSAIDs and the anticonvulsant carbamazepine). The presence of prednisolone and dexamethasone in water samples has not been confirmed in the literature; however that class of drugs has been distinguished as a potential environmental risk (Piram et al. 2008). The procedure for the pre-concentration and simultaneous determination of the 13 drugs selected has not been described in the literature. The use of UHPLC results in shorter analysis times and reduced labor costs, which is important for routine analysis. The method developed herein has been applied to water samples, mostly from Poland. Metamizole monohydrate was purchased from Riedel-de Haën (Seelze, Germany), and paracetamol was purchased from Fluka BioChimika (Darmstadt, Germany). Diclofenac sodium, aspirin, salicylic acid, carbamazepine, naproxen, sotalol hydrochloride, metoprolol tartrate, propranolol hydrochloride, carvedilol, prednisolone and dexamethasone were all purchased from Sigma-Aldrich (Milwaukee, WI). HPLC grade acetonitrile, water, methanol and formic acid were acquired from Merck (Darmstadt, Germany), and analytical grade methanol was bought from POCH (Gliwice, Poland). Stock solutions of carvedilol and aspirin were prepared by dissolving standard (10 mg) in analytical grade methanol (10 mL). Stock solutions of the rest of the pharmaceuticals were prepared by dissolving the standard (10 mg) in a mixture of distilled water/methanol (10 mL, 50/50, v/v). All of the stock solutions were stable for at least 3 months at −18°C, except for aspirin. The stock solution of aspirin was stable for 2 weeks. Working solutions were prepared daily by mixing the appropriate volume of each stock solution with a mixture of distilled water/methanol (90/10, v/v). The UHPLC system included an L-2350 column oven (LaChrom Elite, Merck Hitachi), a L–2200U autosampler, two L-2160U pumps and a L-2400U UV detector (LaChrom Ultra, Merck Hitachi). A Chromolith® Fast Gradient monolithic C18e reverse-phase column (50 mm × 2 mm) from Merck was used. The data were collected with EZChrom Elite software. The solid-phase-extraction (SPE) was performed using J.T. Baker spe-12G (Deventer, Netherlands). Three different SPE columns were used for the sample extraction procedure for the water samples. These columns included a NEXUS column (6 mL, 200 mg, Varian), a Bond Elut ENV column (6 mL, 500 mg, Varian) and an Oasis HLB column (6 mL, 500 mg, Waters). All of the columns were conditioned (except for the non-conditioned NEXUS column) with methanol (6 mL) and distilled water (6 mL) at pH 7 and a flow rate of 1 mL min−1. One liter of distilled water spiked with all 13 pharmaceuticals (2 μg) was passed through the columns at a flow rate of approximately 5 mL min−1. After the sample had passed through, each column was dried for 10 min. Then the analytes were eluted with methanol (5 mL), evaporated to dryness under a stream of nitrogen, and reconstituted in a mixture of distilled water/methanol (1 mL, 90/10, v/v). Then, 2 μL of the obtained extracts was injected through the auto sampler into the UHPLC system. This procedure was also tested on 1 L of tap water spiked with all 13 drugs (2 μg). Water samples were collected mostly from mainstream rivers in Poland and one from the Czech Republic. All samples were stored at 4°C until analyzed (48 h). Seven surface water samples were collected from the Vistula River from the following different cities: Skoczow, Cracow, Kazimierz, Warsaw, Bydgoszcz and two from Torun [before the Old City (Torun 1) and after the Old City (Torun 2)]. The rest of the water samples were collected from the following rivers: the Vltava (Prague), the Oder (Wroclaw), the Brda (Bydgoszcz), the Warta (Zawiercie and Czestochowa), the Krzywa (Bielsko-Biala), the Klodnica (Gliwice), the Potok Toszecki (Toszek), the Mala Panew (Zawadzkie) and the Troja (Nowa Cerekwia). One sample was collected from the wastewater treatment plan (WWTP) effluent from Bielsko-Biala. The best separations for all pharmaceuticals were achieved on the C18e monolithic column at a temperature of 20°C using UHPLC equipment and a UV detector. A gradient comprised of two solvents, where solvent A was 0.1 % formic acid and solvent B was acetonitrile was optimized to obtain the best separations in the shortest possible time. The column eluent was analyzed at the characteristic detection wavelength for each pharmaceutical using a UV detector. For the determination of the investigated drugs in water samples, a gradient elution was used. The best separations were achieved on the C18e monolithic column (Chromolith® Fast Gradient) with a two-solvent gradient elution consisting of 0.1 % formic acid in water (A) and acetonitrile (B) (Table 1). All 13 drugs were eluted in less than 3.2 min with satisfactory separations (Fig. 1). The retention times, standard deviations and analytical wavelengths are shown in Table 2. The short analysis time allowed examination of a large number of samples within a single working day, which can reduce labor costs. Three SPE columns with polymeric sorbents were tested for the recovery efficiency of the pharmaceuticals investigated. The selected columns were the Bond Elut ENV, the NEXUS and the Oasis HLB. The Oasis HLB column and the ENV column have been widely used for the enrichment of analytes from water samples. The non-conditioned Nexus column is a new sorbent that has not been described in the literature for the enrichment of analytes from water samples. Samples of distilled water with each pharmaceutical (2 μg L−1) were passed through each column, and the recovery efficiency was determined. Then, the procedure was tested on 1 L tap water samples. The results for the recovery efficiency are presented in Table 3. The recoveries obtained were on the same level in the distilled water and tap water for each pharmaceutical, respectively. Most of the drugs on each column tested were recovered with over 90 % efficiency. Only carvedilol and paracetamol using the NEXUS column, paracetamol using the ENV column and metamizole using the HLB column were recovered with efficiency below 70 %. Despite the lower efficiency, the precision for the drugs tested was satisfactory for the proposed procedure. The highest recovery efficiencies were achieved using the Oasis HLB column (over 90 % for 11 drugs, mean 93.8 %). Nevertheless, the Bond Elut ENV (mean 88.3 %) and the NEXUS (mean 84.0 %) column also gave satisfactory recovery efficiencies and can also be used for the enrichment of analytes from water samples in other mixtures. The recovery efficiencies for the drugs selected, described separately or with other drugs, are generally in agreement with literature data found for the Oasis HLB column, except for prednisolone, dexamethasone and carvedilol, which recovery efficiencies on the Oasis HLB column in water samples were not found in literature data. The recovery efficiency data corresponding to the Nexus and the Bond Elut ENV for these drugs in water samples are not known. However, the recovery efficiency data using the polymeric sorbent ENV from different manufacturers are known only for some of the drugs used in this study. Standard curves for the pharmaceuticals used in this study were determined using the following linear regression: y = ax + b, where y is the peak area, a is the slope, x is the respective concentration and b is the intercept. The parameters of the calibration curves for all pharmaceuticals are presented in Table 4. The limit of detection (LOD) and limit of quantification (LOQ) were determined using the parameters of the standard curves and then recalculated using the appropriate recovery level of each drug in 1 L of tap water. The LOD values were determined as LOD = 3.3 s/a, where s is the standard deviation of intercept (S b ), and a is the slope. The LOQ values were calculated as LOQ = 3LOD. For all drugs, values of LOD and LOQ under 0.5 μg L−1 were achieved. For some drugs, values of LOD and LOQ were under 0.1 μg L−1. The low values of LOD and LOQ allowed us to detect and quantify some of those drugs in surface water samples. The SPE-UHPLC-UV method was applied to the simultaneous determination of all 13 pharmaceuticals in water samples (Table 5). The blank samples from tap water and the appropriate recovery efficiencies were taken into account when calculating concentrations. The identification of drugs in real water samples was performed by comparing the retention times of standard solutions using the standard addition method. The only pharmaceuticals found in the majority of water samples were diclofenac and naproxen mostly at concentrations under 0.30 μg L−1. Diclofenac was found in higher concentrations only in Oder (Wroclaw) and Warta (Czestochowa). Naproxen was found in higher concentration in Klodnica (Gliwice). Salicylic acid was found in eight water samples and quantified in six with concentrations of 0.19–0.50 μg L−1. Aspirin, paracetamol and propranolol were detected in only 3–4 water samples. Metoprolol was found only in WWTP effluent with a concentration of 0.27 μg L−1, and metamizole was found only in Oder (Wroclaw) with a concentration of 0.90 μg L−1. Carvedilol, carbamazepine, dexamethasone, prednisolone and sotalol were not found in any of the analyzed water samples. 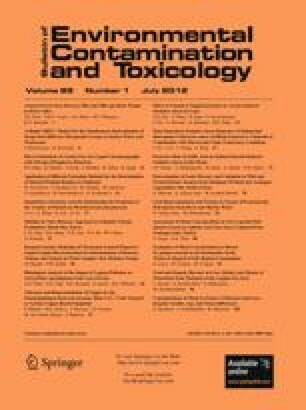 In most of the water samples, two or three pharmaceuticals were found from those determined in this paper; however, five different pharmaceuticals were found in WWTP effluent from Oder (Wroclaw) and Vltava (Prague). Those water samples were collected near the WWTPs, which could probably explain the presence and relatively high concentrations of these drugs (in Oder over 0.40 μg L−1 for aspirin, diclofenac and metamizole). In some smaller rivers (Potok Toszecki and Mala Panew) only one drug (diclofenac and naproxen, respectively) was present, which could be explained by the fact that in the nearest region has no WWTPs. All pharmaceuticals determined were found in real water samples at low sub-micro levels (0.06–0.90 μg L−1); however, in only a few cases the concentrations were higher than 0.30 μg L−1. The chromatogram of sample extract from the Vistula river (Bydgoszcz) is presented in Fig. 2. A new, rapid and sensitive method has been developed for the simultaneous determination of 13 pharmaceuticals in water samples using an UHPLC-UV. All of the drugs were determined within 3.5 min with satisfactory separations. The low values of LOD and LOQ for most of the drugs allowed for the determination of selected drugs in water samples. The best recovery efficiencies were obtained with the Oasis HLB column. However, the procedure on each SPE column was applied to the water samples. Different water samples were analyzed, mostly from Polish rivers from different locations. The drugs used in this study were found in low concentrations (0.06–0.90 μg L−1) in all of the water samples. In conclusion, the SPE-UHPLC-UV method can be successfully applied to the determination of selected drugs in water samples and can be used as a monitoring tool for water pollution in rivers and WWTPs effluents. The method can also be used in laboratories that perform many analyses per day and do not possess expensive LC–MS/MS equipment.